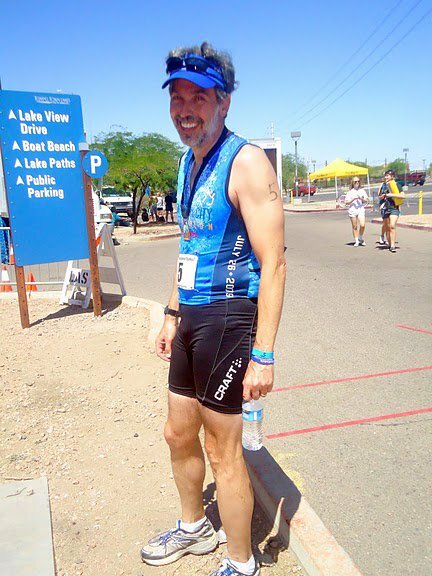 Tempe International Triathlon Action Photo! Thanks to Lisa Kravetz. The professional shots are usually far less kinetic, at least for us age-groupers. 2:47:47, which is a new PR for the Olympic distance by all of 1 second, but I'll take it. I had a good swim (more, and more visible, buoys next year, please! ), a not-bad bike ride, and was just not so slow on the run as to use up all the time I gained in the transitions over my Nation's Triathlon time. 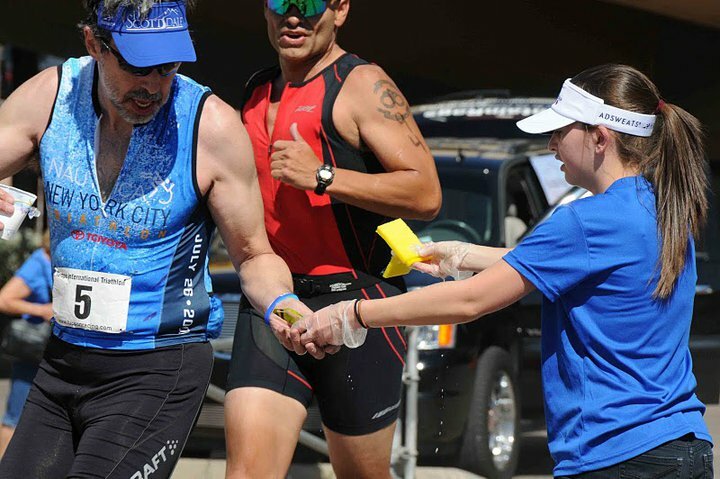 (A tri with 10,000 participants means more time in transition; doing an event with 1,000 means a couple of minutes gained just because the transition area isn't quite so huge or so far from the swim and bike courses.) Maybe if we hadn't started 40 minutes late I could have picked up another second or two, it got pretty warm by the end of the run. TriScottsdale won the club championship, plus I was fourth in my age group (out of 14). There are more pictures here.